Soak khus khus, badam and kaju overnight in water. Add copra and grind them to a fine paste. Add powdered kalkandu and elachi to the khus khus paste. Allow boiled milk to cool and add it to the khus khus paste. Khus khus kheer is ready! Serve chill. Poppy seeds protects heart against cardiovascular diseases. Poppy seed oil prevents breast cancer. Poppy seeds with sugar can be taken to cure insomnia. look so yummy !! I will surely try it. Simple recipe! However, when I tried your recipe, it gives the raw smell of khus khus. What I do is to roast poppy seeds instead of soaking it; then grind it with fresh coconut, and roasted cashews. I boil this ground paste in milk for 4 minutes. When the milk is warm, I add the jaggery syrup (jaggery heated with a little water and then filtered). Add Elaichi for flavor. 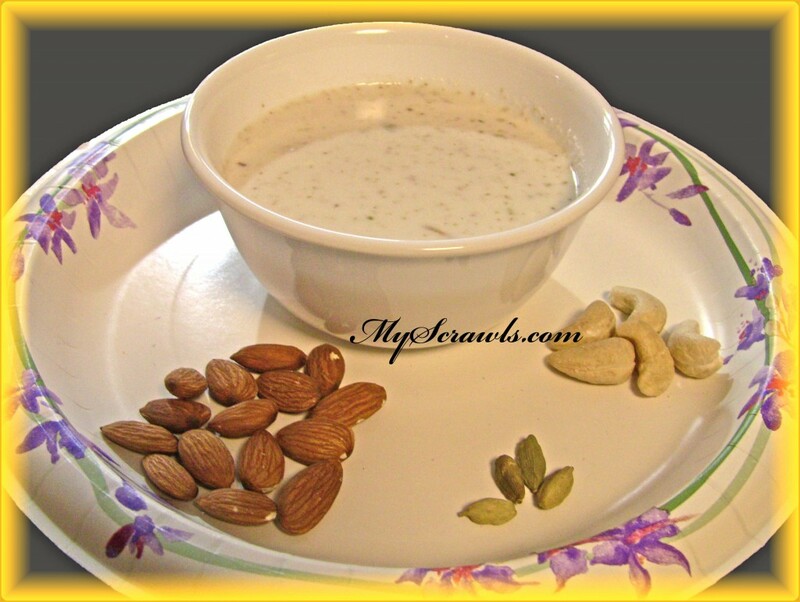 Yes I also make the khus khus kheer as you have mentioned and it tastes great too!